A Little Thankyou from Henham! I am writing to thank each and every one of your staff for their efforts in making a very unique and special event in our lives even more memorable. Bar and food service were excellent, quality of food very good and staff friendly and very efficient. friends or family requiring catering / bar services. Looking forward to meeting with Joe & Nicola with Maria at Lodge Farm in Kings Walden tonight to discuss their menus and itenery for their wedding next summer! Beautiful new venue for a marquee or tipis, set in 20 miles of rolling countryside, the beautiful mature gardens provide a tranquil and peaceful setting for that perfect day. 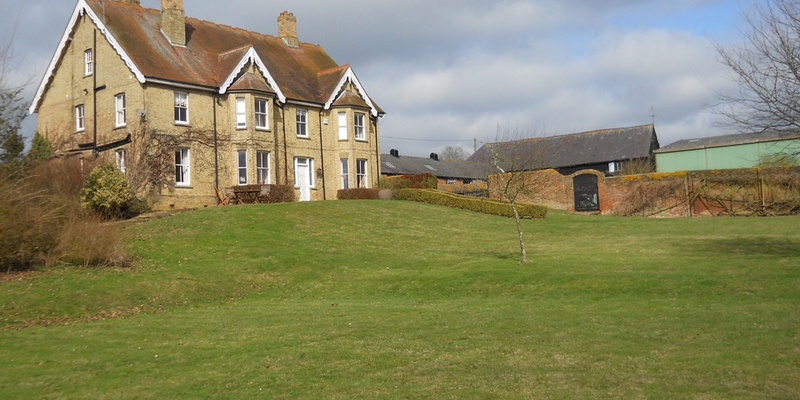 Accommodation can be provided within the beautiful equipped farmhouse which has been awarded 4 stars by visit England. They are even happy for guests to camp within the paddocks! Rump of Lamb, Shepherds Pie, Vegetable Dauphinoise! So Saturday saw the KF team in Henham Village Hall, for Dan & Katie’s village fete style wedding! 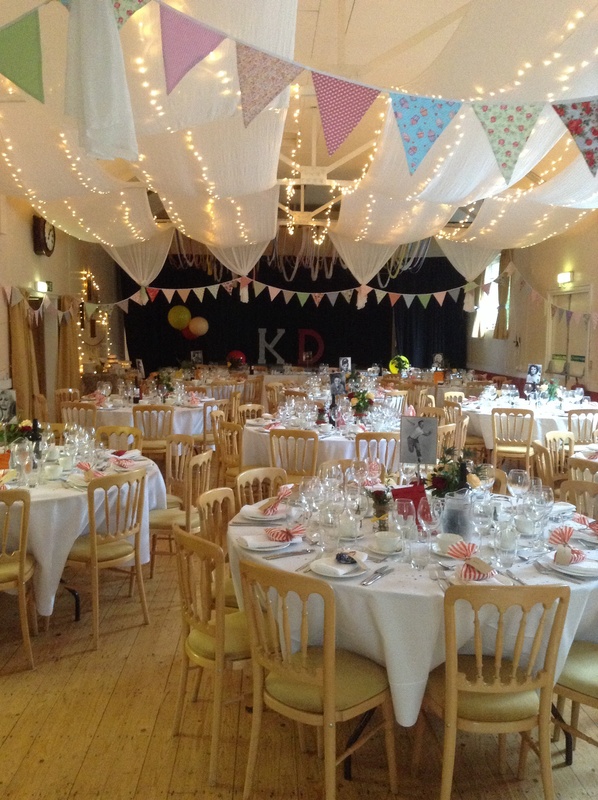 Beautifully dressed village hall with bunting, homemade cakes and homemade cocktails! Mixed to perfection by Jodie! Both cocktails were created by the bride & groom to show their individual style. So Dan’s ‘The Big Apple’ was made from Apple & cinnamon infused whiskey, pressed apple juice & ginger beer. And Katie’ ‘Henham Hedgerow’, vodka with fresh blackberries, elderflower, mint & soda. Katie & Dan arrived in a camper van in true style of the day! Guests enjoyed the cocktails and canapés despite the drizzly rain. They were then seated for a wonderful 3 course wedding breakfast of anti Pasti boards of Proscuitto, salami Milano, chorizo, olives, artichokes, marinated roasted peppers and bruschettas. 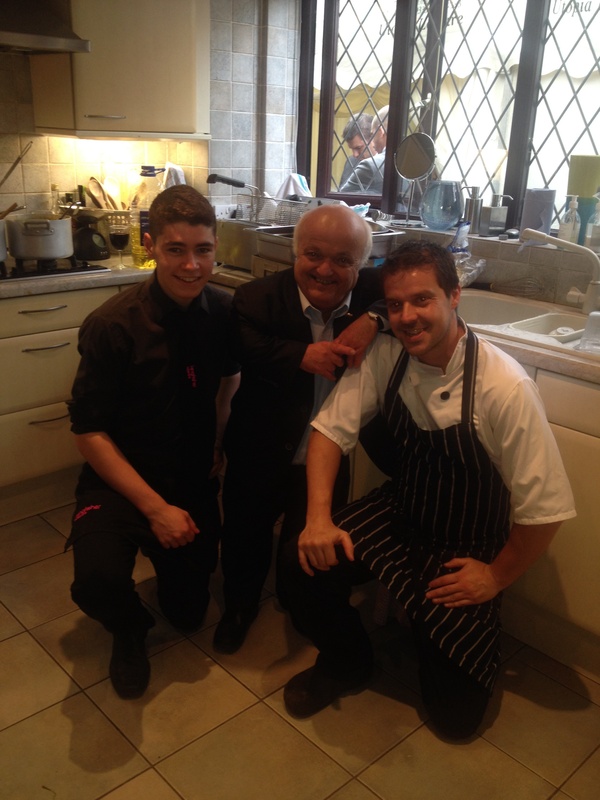 Main course was delicious, cooked to perfection, by John & MJ in probably the smallest kitchen we have ever worked in! 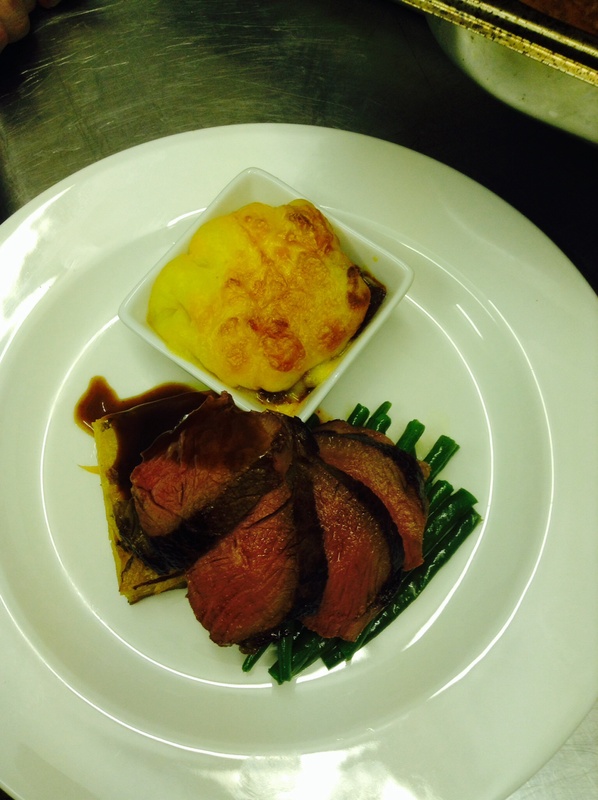 Rump of Lamb, mini shepherds pie, root vegetable dauphinoise, green beans and redcurrant jus. Desserts supplied by friends and family of Apple pies, cheesecakes, fairy cakes topped off the meal with tea & coffee. We then cleared the room to make way for lots of dancing and did they party! Even grandma was tapping her feet! Another great wedding weekend, last one for a while for us, now getting prepared for those Christmas corporate parties!! Another busy week for the kitchen this week, 5 tastings for clients for bookings next year, a corporate buffet and getting set for Katie and Dan’s big day tomorrow! It’s all go! And we are supposed to be quietening down! Tomorrow’s menu consists of anti pasti boards for starters, rump of lamb, mini shepherds pie, root vegetable dauphinoise, green beans & redcurrant jus. 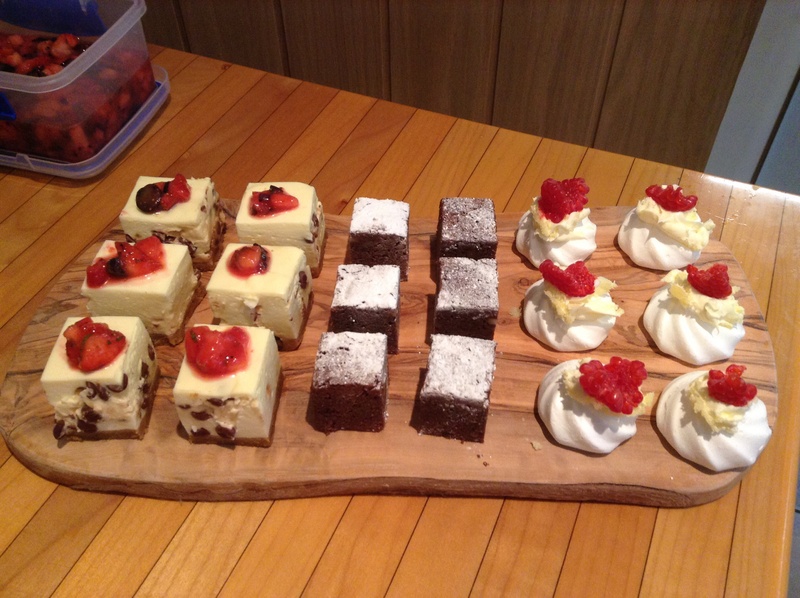 Followed by homemade deserts! Yum! My best bit is the cocktails we are mixing for arrival drinks! Henham hedgerow! 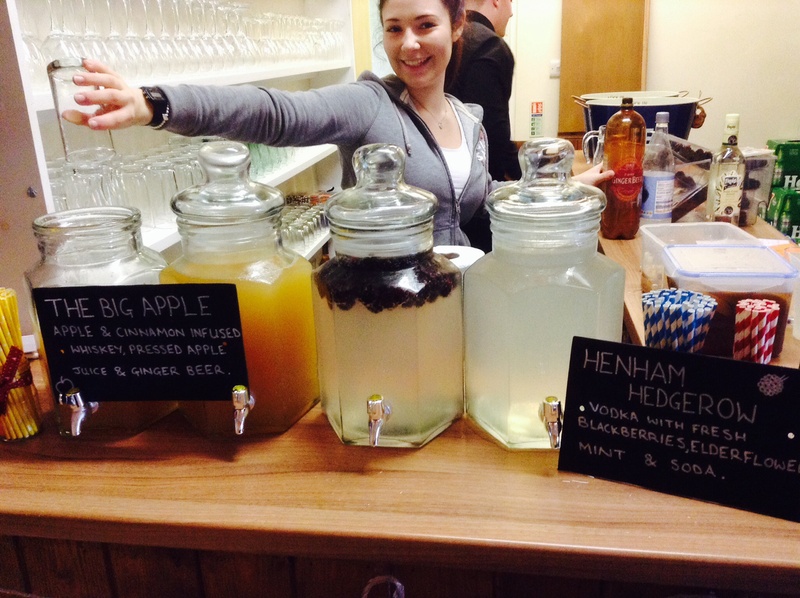 Vodka, elderflower, lime, soda and blackberries and big apple, made up of spiced whiskey, apple juice and ginger beer! Great autumnal warmers! Let’s hope for sunshine and a great day for our last wedding of the season but with those cocktails I can’t think it will be anything but! 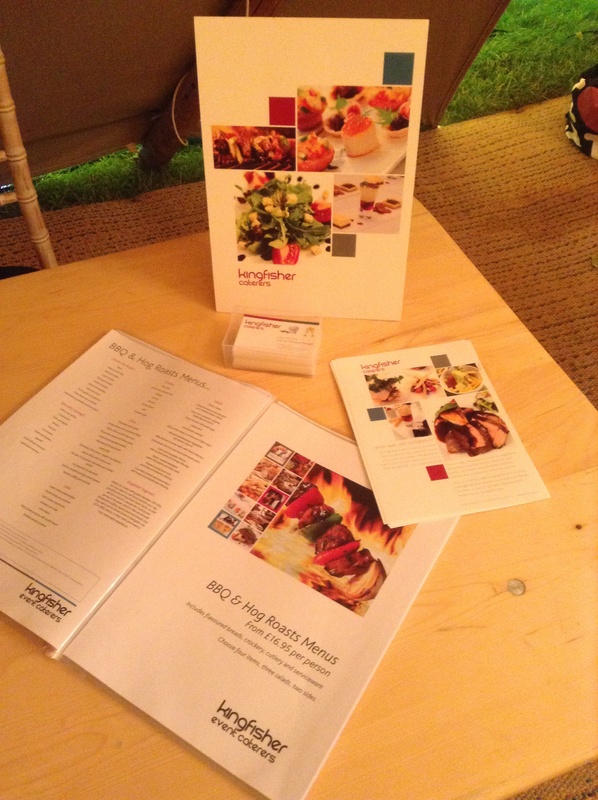 Tipis open day, new menus! This weekend saw us at Lavender Farm for Tipis open day. Despite the rain, it was so exciting talking to Potential brides & grooms about their special days! Every couple have such different ideas that get more and more interesting as the years go by! 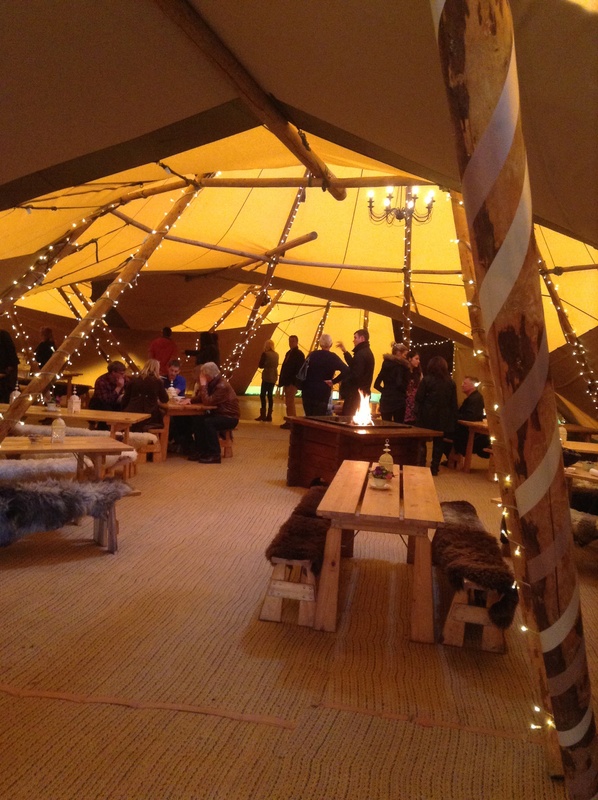 They came to view the Tipis up to see the great ambient space they provide, to discuss menu ideas with us and to sample our new evening food options. 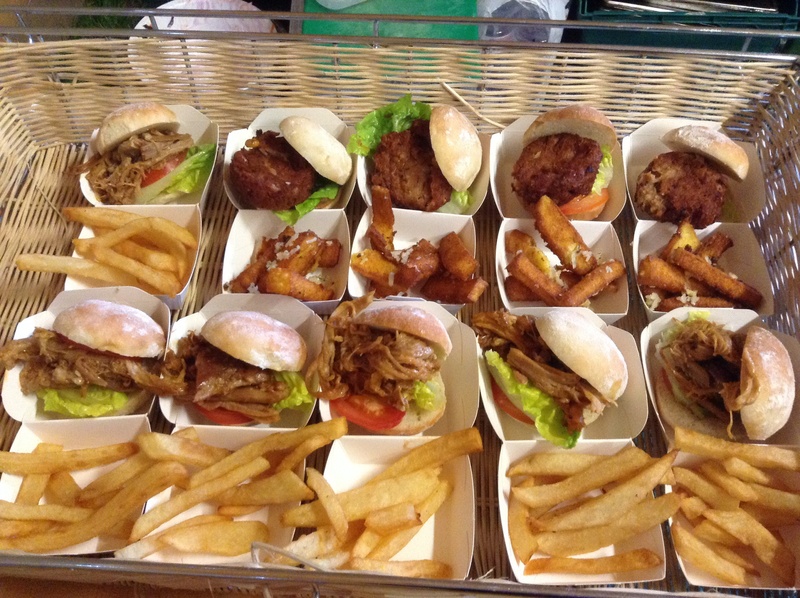 Spicy bean burgers with polenta, rosemary salt chips, pulled pork in barbecue sauce, Homemade beef & Stilton burgers and beer battered haddock n chips in bamboo cones. Easy no waste evening options that everyone enjoyed sampling. John barbecued despite the torrential rain and Daniel assisted me in chatting to excited couples about their ideas for 2014 weddings! Looks like we could be on for another busy summer! Can’t wait! It’s not always about the food! Yesterday we had the pleasure of meeting Rusty Goffe, he impressed us with his stories of being Gringotts and Goblin in the Harry Potter films and Kabe, Jawa & droid in Star Wars! Ben & John were in their element! Sausage n mash, fish n chips! Today we celebrated the life of Gail’s mum, Hollie & Dan’s grandma, from the wedding we catered for in March, not a sober occasion, many people spoke of her love and enjoyment of life! The family gave her a great send off, with champagne, her favourite tipple and a party which I’m sure she was very much part of! 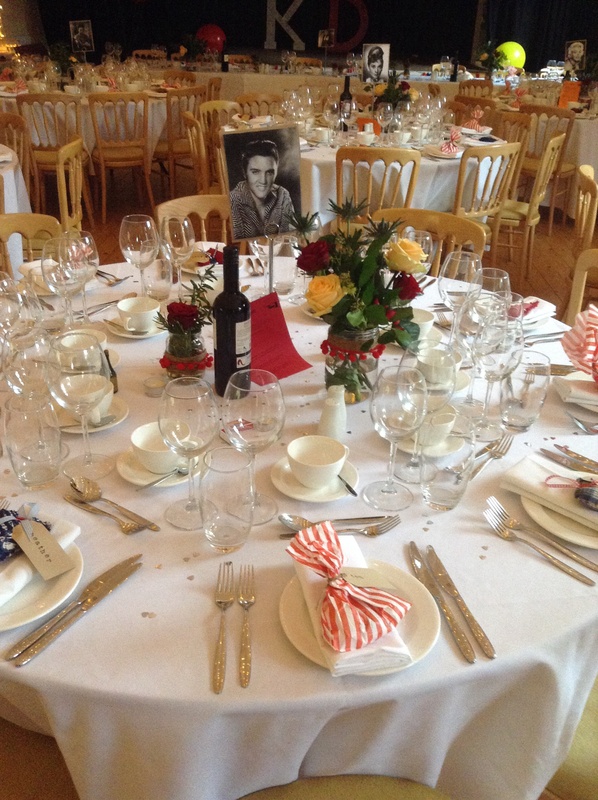 Lovely for us, the KF team to be invited back to share such a personal occasion. 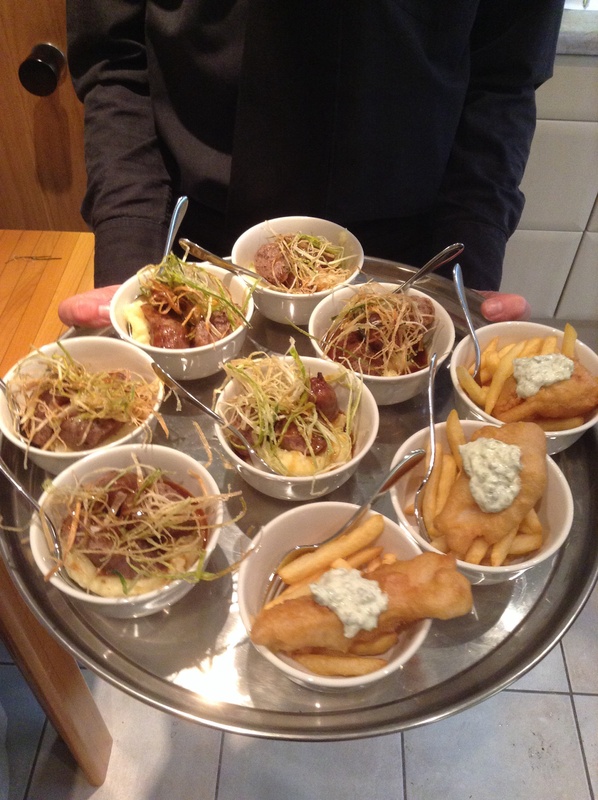 We served them bowl food, little bowls, where everyone gets a bowl of each, sausage & creamy mash with leak crisp, Haddock in English Ale Batter, Chips, Tartare Sauce, and Pork Belly, Caramelised Root Vegetables, Apple Sauce. Followed by sweet canapés! Tea and coffee, yum!